One day, just six hours, to learn all the history that was in John Brahm’s brain was definitely not enough. When you are given a job and you know you have a lot to learn, you ask for a mentor. South Bristol history, I was told, “is the specialty of Roger and John Brahm.” Unfortunately, I started too late to meet Roger. He is one of the local legends who make our beautiful home such a special place. And he had a profound influence on the Bristol Hills Historical Society; a debt we can never repay. When I asked John if I could interview him about South Bristol history, he too, said I should have met his brother, but I know now it was partially his characteristic modesty and mostly his love for a beloved brother. John offered to take me “on tour” with him for a day so he could narrate as we drove from Cook’s Point to Monks Rd. On a beautiful January Thaw day, I met John at Arbor Hill where I was given the special behind-the-scenes tour. He was wearing a wool cap, a checked flannel shirt, and a red vest and I felt as if I was about to be taken into fairyland by a smiling elf. His grin was contagious, but it was the barely contained enthusiasm that bubbled through his voice and animated his quick steps that convinced me there were places we needed to see, and the magic began. 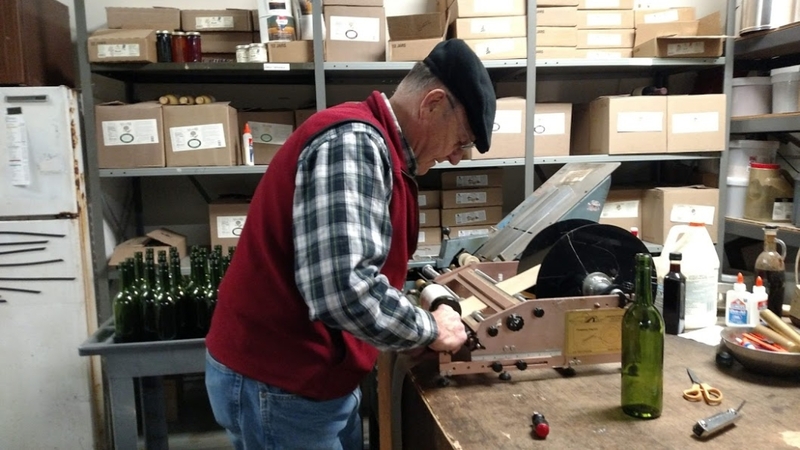 John labelled a few more bottles of wine in the packed storeroom before we headed through a twenty foot hallway covered with award plaques for Arbor Hill wines. He waved at them casually and again, I knew he was a proud and yet humble man who had achieved greatness. In the office he explained his daily routine as he grabbed the keys to the van, waved good day to three employees, sprinted down the stairs, and hopped into the front seat. On the south side of Cook’s Point Rd. John reminisced about the building of “rock cut” on Rte. 21 near Woodville in the 1950’s, and pointed out what the old road would have looked like by showing me the remnants of a stone bridge in the ravine. He described the vineyards on the left and then named the owners, builders, or current residents of every home on the point. A doctor, insurance broker, real estate developer, and first generation German immigrants all enhanced the map I scribbled as he spoke. John said that Glen Cottage is possible the oldest cottage on the lake and was originally owned by the Holcomb family. Cook’s Point was also the site of a steamboat landing because of very deep water close to the shore. The covered bridge, that is still there, was originally a boat depot before it was moved to its present location. Elm Lodge was located behind the tennis court and “Wigglywam” behind the Brown Cottage was a carriage house and housing for the hired help of the Lodge. Marwich Hill, to the west, was once covered with grapes. Concord, Delaware, and Vergennes grapes, along with apples, peaches, and cherries were all shipped from the point to Canandaigua and then on to New York, Philadelphia, and Pittsburgh during the boom years 1860-1905. My favorite part of the day was John’s tour of his own property. 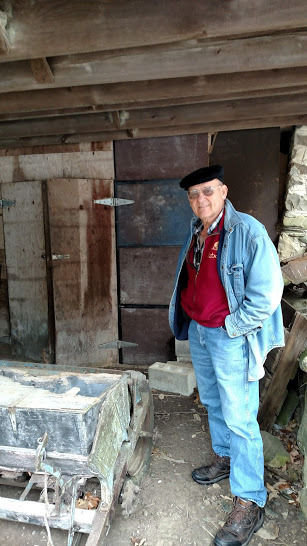 His grape packing shed used to be heated by a wood stove above while the picked grapes were stored in the basement until they could be taken from wooden grape boxes and packed into smaller “pony baskets” that had a cover and could be neatly packed into trays. The trip to the lake would start when the grapes were loaded onto horse- drawn freight wagons from the second floor. Another perfect example of a grape packing barn can be seen on the west side of the very northern end of County Rd. 12 and finally explained to me why there was a man-door twelve feet off the ground. In the basement of his barn we found an up-cycled farm implement John had turned into a grape row fertilizer for a college project and later used on the property. It was a poignant reminder that his chosen vocation has been a life-long passion and family legacy. His tour of the collection of vintner’s supplies, grape boxes and labels continued to his home from which we could see the incredible view toward Vine Valley where John said, the first vineyards in the area were located. His own property was once a cherry orchard belonging to Charles Standish. John’s best history lesson described the presence of Vergennes grapes here in South Bristol: 1762 Battle of Quebec was won by the British over the French so in 1777 after the Declaration of Independence, Louis XVI wrote to Benjamin Franklin to “applaud his efforts” (fighting against the British) and wanted to help by sending experienced military men, money, and blockades. One of those soldiers was the Comte de Vergennes, whom Ethan Allen and the Green Mountain Boys honored by naming a town after him in Vermont. In 1874 an amateur horticulturalist named William Green, discovered a breed of grape that shipped and stored well and named it after his city. 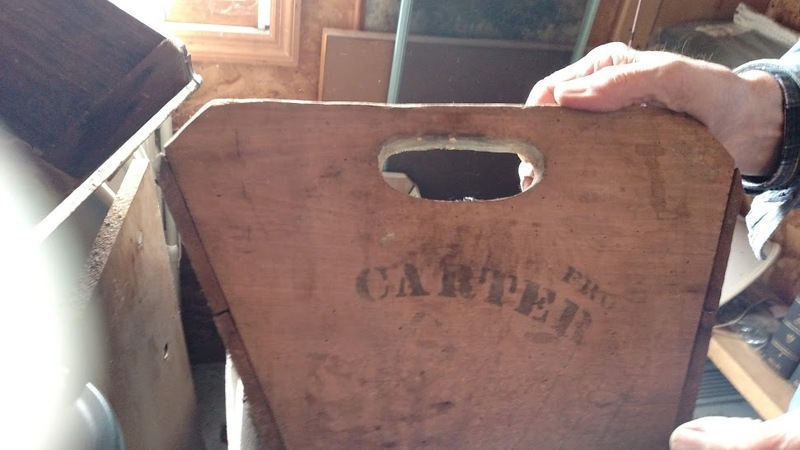 The Vergennes grape made it to South Bristol where it was valuable as a table grape, especially during the Depression, since it withstood the long shipping process to metropolitan centers. Later Widmer used the grape in a blended wine but eventually eliminated the Vergennes in favor of other grapes. Luckily some of the vines still survived in the area and in 2006, John made Arbor Hill Vergennes which won a gold medal. He called the mayor of Vergennes, Vt. and took two grape vines and a case of the award winning wine back to Vt. to celebrate their French Heritage Day on July 14. John’s typical magnanimous gesture was to honor a whole town that had contributed to his success. Our day on tour was broken up by a Rotary meeting and luncheon. It was a total surprise to me when John took me as his guest, but it was not until last week that I learned that he had perfect attendance at meetings. Ironically, the speaker that day was talking about the Boy Scouts of America and Eagle projects, another badge in John’s collection. After lunch we passed Grisea Hill Rd. where Konz’ barn used to sell juice to home wine makers who today are still allowed to produce up to 200 gallons of homemade wine for personal consumption. The Old Graff winery located on the Griesa Hill Rd., quit production during the Depression as so many local brewers and wineries did between 1920-1933, but their mechanical grape press and an old still were rescued by Arbor Hill and are used for making Rhine Street White. John named the original owners of every single historic home in Bristol Springs on our way to Bopple Hill Rd. From Coye Cemetery to the lake used to be the vineyard for Great Western Winery. The ripples denoting former rows are visible on the hillside as it gently slopes toward the Miller Winery, the last building on the left of Bopple Hill Rd. Several generations of men named George Miller are buried in the Coye cemetery, seemingly standing guard over their former grape vines. On Seneca Point Rd. John pointed out where the Fox homestead and vineyard once stood. Nearby lived the McKechnie family that started the McKechnie Brewing Company, founded the Canandaigua Lake Steam Navigation Company, and managed the Seneca Point Hotel until it burned in 1899. They grew hops in Bristol and South Bristol which were shipped along with barley on steamboats to Canandaigua to be used in the brewery. Directly across the street from the site of the hotel is a NYS landmark sign describing the Seneca Orchard that was settled by Gamaliel Wilder in 1788. 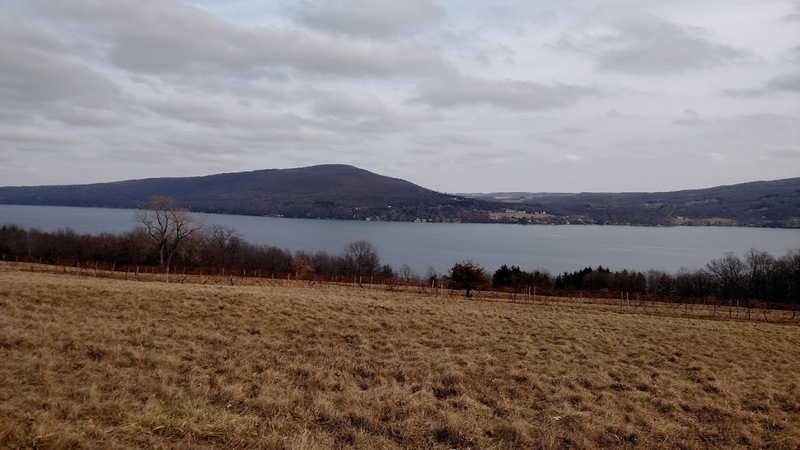 It seems that the fruit has long marked the “sweet spot” of the Finger Lakes region. Finally, we ended our day, appropriately, at the Randall-Standish Winery. Elmer Standish and Anna Randall were John’s grandparents and the triangle corner of Hicks Rd. and Rte. 21 is an historic landmark for “who’s who” in Bristol and South Bristol. The Greens, Brahms, Gages, Fletchers, and several other familiar names in the area are all descendants of Myles Standish or the Randalls who migrated here from New England in the early 1800’s to grow hops and fruit. Not much has changed in our landscape or our pursuit of great fruit and drinks, and John and Roger appreciated that fact, relishing their lives in the chosen spot of their ancestors. I was blessed to be able to share six hours learning from a master of many trades, a true gentleman, and proud South Bristol resident. As magic hour began and the sun was setting, I knew that we were all lucky to have shared even a brief time with the brothers who held so much of our histories, not only in their heads, but also in their hearts.